The 5 Best Men Skin Care Tips Ever! Home » Grooming » The 5 Best Men Skin Care Tips Ever! Men have it tough when it comes to skin care. For decades, or perhaps centuries, we have both learned and taught that men have stronger skin than women, so it is not necessary to take care of it. Nothing could be further from the truth! Recent studies have concluded that men usually have a more delicate skin than women, mainly because of shaving habits and poor skin care regime. Luckily, it’s never too late to make a change. We can begin taking care of our skin now and avoid problems that may arise in the future such as unhealthy skin color or even skin cancer. Below I share with you some tips that will help you take care of the largest organ in your body, the skin. 1. Add a skin care regimen in your life. We build habits through repetition, so make an effort to develop the habit of following a regime every morning to clean and nurture your skin. First, start by cleaning your skin. 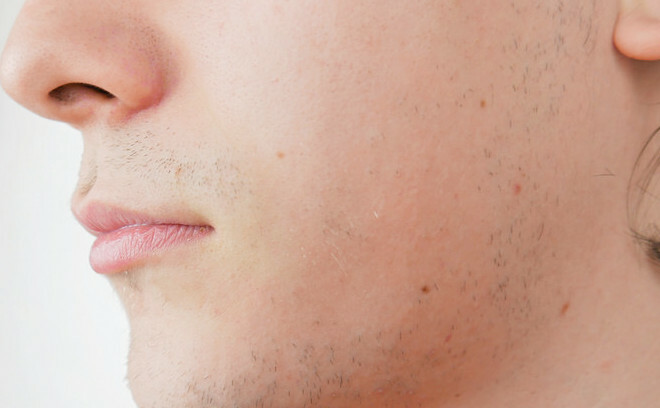 Once it is clean, you can begin shaving away excess facial hair. Finish by applying moisturizer to restore your skin’s natural humidity. This 3-step regime is fundamental. Adjust according to your own needs. 2. Choose quality skin care products. Your choice of products will have a direct impact on the state of your skin. As a general rule, avoid products that rely too heavily on chemicals. ​Also, get to know your type of skin. When looking for a product such as a facial moisturizer for men, this becomes very important, because if you choose the wrong skin type, you won’t get the results you want. As a matter of fact, you can even end up worse than before! 3. Learn how to shave while minimizing damage. Many men simply wake up, shave with whatever they have at hand and then go away to work. This is a mistake that will damage your skin. Instead of doing this, you should learn about proper shaving technique, and you can start with our guides. Begin by pouring warm water on your face or use a shaving cream warmer dispenser, this will help open up the pores on your face and make shaving easier. When shaving, try not to go against the grain and avoid passing the razor over the same place many times. Finish by applying cold water on your skin to close the pores. 4. Watch your diet and habits. The state of your skin not only reflects what products are you using to keep it in shape, but also your lifestyle in general. It has been proved time and time again that smoking is bad for your skin – among other things, giving you a dull complexion and accelerating the development of aging signs. Your diet should also be observed. Reducing the intake of fast food and sugars will reduce puffiness and give you a much healthier appearance. I have been guilty of not following this advice in the past because I thought my skin was healthy enough. But don’t fool yourself; anyone can develop skin cancer or other skin conditions from excessive sun exposure. With a product of 20 SPF, you should have enough protection for the day, unless you spend hours outdoors. In those cases, a higher SPF is strongly recommended.